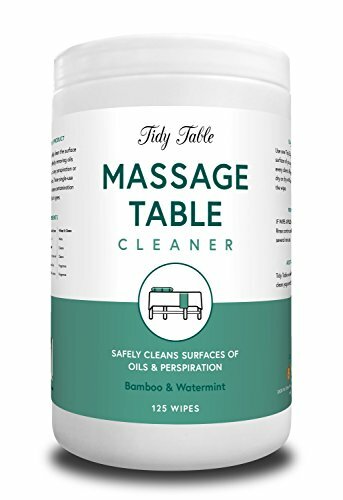 Tidy Table wipes are specially formulated to clean the surface of your PVC or leather massage table by removing lotions and oils as well as any perspiration or residue left by your clients. These single-use wipes help prevent cross-contamination between clients. Wipes are made in the USA from just five natural ingredients and are safe for all skin types.